Finally, some new faces of the Most Stylish of the Week! 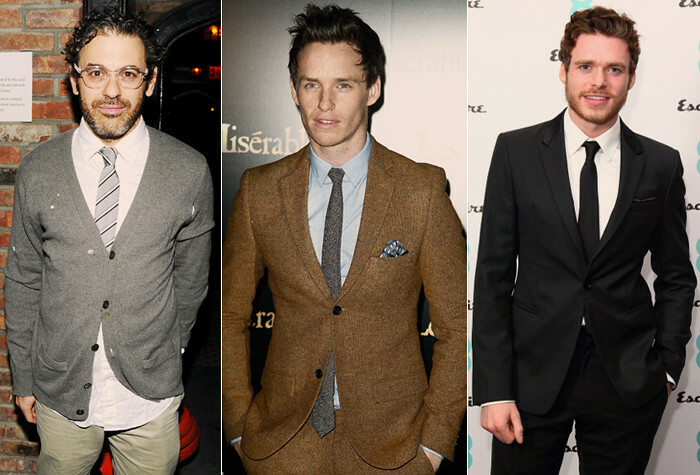 My two favourites this week are artist and designer Tom Sachs and actor Eddie Redmayne. The first rocked a geek chic casual look at one of the New York Fashion Week kick off events this week. I am especially keen on the see-through frames and the stained cardigan. Redmayne gave lesson number 5673499 in style wearing a slim fit tweed suit and wool knit tie all from Top Man. He can do no wrong. I loved seeing Richard Madden in some 21st century attire. The actor looks as dapper in furs, capes and leathers as the King of the North in 'Game of Thrones' as he does wearing a classic black and white evening number signed, of course, by Giorgio Armani. David Beckham has been wearing some seriously cool outfits this week. We have seen a few more flatcap models, which he's paired with simple knits and classic coats to keep warm in icy London. 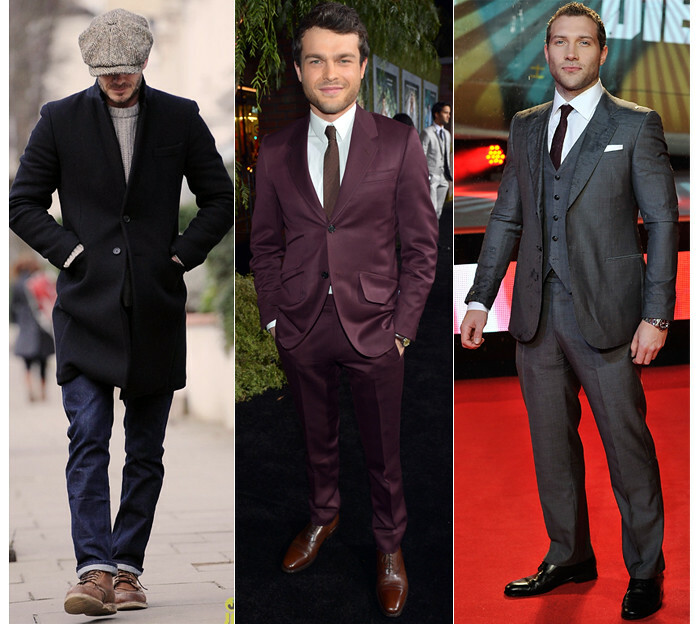 Alden Ehrenreich's burgundy suit by Albert Hammond Jr. for Confederacy is the closest anyone wearing this colour on the red carpet has been to Ryan Gosling epicness. I love the choice of tie and shoes colour. Another newcomer, Jai Courtney, has been catching my attention a lot during his press tour for 'A Good Day to Die Hard'. He obviously has the height and the guns to look good in anything he's been choosing his tailoring very well. One of my favourites was this grey three-piece by Giorgio Armani, which he wore with a skinny burgundy tie.